Several accessories (adjustable stop, magneto resistive or inductive sensors) allow this gripper to be used in a number of applications. 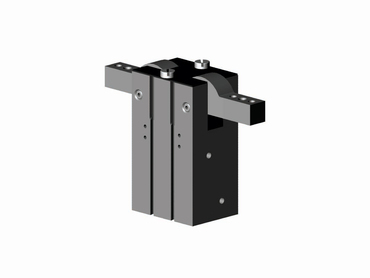 The full jaw opening (180°) means that the part can be direct fed, avoiding any release movement by the robot or by the actuator. This gripper is designed for use in confined spaces.